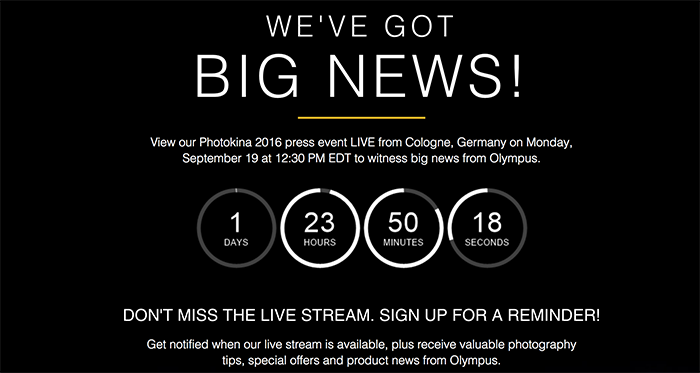 Olympus posted a special Photokina teaser page at GetOlympus (Click here). And below you can see the official Panasonic invitation. Remember that you can follow the live blogging here on 43rumors! On Monday at 12:30 we will have the Panasonic press event. And at 18:00 Olympus! Please do not recopy our post withhout crediting us. Thanks! previous post: (FT5) List of E-M1II accessories leaked. Plus new Lens images! next post: (FT5) E-M1II info: Hand-held resolution mode yet not ready on the pre-production version?